Legendary bass-baritone James Morris is world famous for his performances in opera, concert, recital, and recording. 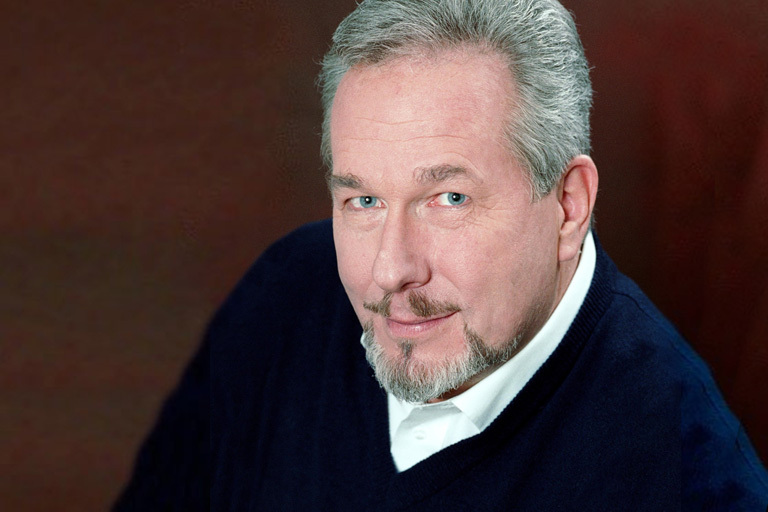 With a repertoire including works by Wagner, Verdi, Puccini, Offenbach, Stravinsky, Mussorgsky, Mozart, Gounod and Britten, Mr. Morris has performed in virtually every international opera house and has appeared with the major orchestras of Europe and the United States. Considered one of the greatest interpreters of the role of Wotan in Wagner’s Der Ring des Nibelungen, Mr. Morris has appeared in this role at the Metropolitan Opera, Vienna State Opera, Bavarian State Opera, Munich, Deutsche Oper Berlin, Lyric Opera of Chicago, San Francisco Opera and many others. He is also considered the world’s leading interpreter of the title role in Wagner’s Der fliegende Holländer and has appeared as Hans Sachs in Die Meistersinger von Nürnberg in the major houses of the United States and Europe. In the 2016-2017 season, James Morris will sing the new production of Lulu as Dr. Schön in a return to the English National Opera. He will also be heard at the Metropolitan Opera as Ramfis in Aida and Don Fernando in Fidelio. In the summer of 2016, Mr. Morris was highly praised for his performance of the Doctor in Samuel Barber’s Vanessa at Santa Fe Opera. He returned to the MET in the 2015-2016 season for one of his signature roles: Scarpia in Tosca. He was also seen as Timur in Turandot and as Lodovico in the new production of Otello. Metropolitan Opera audiences once again saw his critically acclaimed performance as Hans Sachs in Die Meistersinger von Nürnberg with James Levine conducting in the 2014-2015 season. He also was also seen at the company as The Grand Inquisitor in Don Carlo and the Commendatore in Don Giovanni. He appeared with Edo de Waart and the Milwaukee Symphony as the Commendatore in Don Giovanni as well. Mr. Morris debuted the role of Oroveso in Norma at the Metropolitan Opera in the 2013 – 2014 season. He recently returned to the Lyric Opera of Chicago as Hans Sachs in a new production of Die Meistersinger von Nürnberg and the Four Villains in Les contes d’Hoffmann. Mr. Morris also returned to the Metropolitan Opera in his signature role of Scarpia in Tosca, and then as Ramfis in Aida and Commendatore in the new production of Don Giovanni. When the Metropolitan Opera brought Benjamin Britten’s Billy Budd into the repertoire, Mr. Morris triumphed in the role of John Claggart and repeated performances of this celebrated role in the spring of 2012. Mr. Morris recently added to his repertoire the role of the Doctor in Berg’s Wozzeck with the English National Opera in a new production and praised for his “massive vocal presence.” Recent concert performances have included Hans Sachs’s monologues from Die Meistersinger von Nürnberg under Rafael Frühbeck de Burgos and the Boston Symphony Orchestra and in Rossini’s rarely-heard Moïse et Pharaon in the title role of Moïse with the Collegiate Chorale at Carnegie Hall. In recent seasons, Mr. Morris appeared in his signature role of Wotan in three complete cycles of Wagner’s Der Ring des Nibelungen conducted by James Levine at the Metropolitan Opera. He also performed Hans Sachs in Die Meistersinger von Nürnberg, Wotan in Die Walküre conducted by Lorin Maazel, Gremin in Tchaikovsky’s Eugene Onegin, Dr. Schön/Jack the Ripper in Berg’s Lulu, Fiesco in Verdi’s Simon Boccanegra, Claudius in Thomas’s Hamlet, and Scarpia in Tosca. He also sang in the Metropolitan Opera’s 125th Anniversary Gala conducted by Maestro Levine. Other notable opera engagements include appearances the Dutchman in Der fliegende Holländer at Opéra National de Paris, the title role of Don Pasquale at Washington National Opera, Scarpia in Tosca at the Lyric Opera of Chicago and Opéra National de Paris; Filippo in Verdi’s Don Carlo at the Cincinnati Opera, Nick Shadow in the new Robert Lepage production of The Rake’s Progress at the San Francisco Opera conducted by Donald Runnicles and Hans Sachs at the Berlin State Opera conducted by Daniel Barenboim. He also performed the role of Mephistopheles in Faust for the MET‘s annual parks concerts and gave a recital in honor of the George London Foundation. On the concert stage, Mr. Morris performed in concert performances of Die Meistersinger von Nürnberg at Tanglewood, the Mahler’s 8th Symphony with Michael Tilson Thomas and the San Francisco Symphony (which won a 2010 Grammy Award) and Orchestre National de France under Daniele Gatti, and Verdi’s Simon Boccanegra with the Boston Symphony Orchestra. He performed with the Boston Symphony Orchestra, both in Boston and at Tanglewood in concert versions of Fidelio and Don Carlo conducted by James Levine. In addition, he sang Beethoven’s Symphony No. 9 at the Blossom Festival with the Cleveland Orchestra conducted by Franz Welser-Möst and appeared with the Montreal Symphony under Kent Nagano in a program of arias by Verdi and Wagner, as well as concert performances of Berlioz’s La Damnation de Faust in Madrid. Dayton Opera featured Mr. Morris in their Star Gala Recital Series in March 2009. Other concert appearances have included performances with the Berlin Philharmonic, London’s BBC Proms; concerts with Zubin Mehta and the New York Philharmonic; the “Pavarotti Plus” special at New York’s Avery Fisher Hall; and several televised gala events at the Metropolitan Opera. Mr. Morris has also appeared in La Damnation de Faust with the Los Angeles Philharmonic at the Hollywood Bowl; a concert of opera arias and Broadway songs with the Chicago Symphony at Ravinia; Mendelssohn’s Elijah with the Boston Handel and Haydn Society under Christopher Hogwood as well as at the Cincinnati May Festival under James Conlon. He has also appeared frequently in recitals in cities including Minneapolis, Baltimore, Washington D.C. and at the Teatro Colon in Buenos Aires. Mr. Morris’s extensive discography includes two complete Ring cycles, one for Deutsche Grammophon under James Levine and one for EMI under Bernard Haitink, and other operas of Wagner, Offenbach, Mozart, Massenet, Verdi and Gounod. He has recorded operas by Donizetti, Puccini, Bellini and Thomas with Dame Joan Sutherland, and his orchestral recordings include Haydn’s Creation, Beethoven’s Symphony No. 9 “Choral” and the Requiems by Mozart and Fauré. James Morris was nominated for the 46th Annual Grammy Awards in the ‘Best Opera Recording’ category for his performance in Thomas’ “Desire Under the Elms” with George Manahan conductor and the London Symphony on Naxos. He also holds a Grammy Award for his recording of Mahler’s Symphony No. 8 with Michael Tilson Thomas and the San Francisco Symphony. A recording of arias by Verdi and Wagner by Mr. Morris is available on the Angel/EMI label. Born and educated in Baltimore, Maryland, James Morris studied at the Peabody Conservatory and studied with Rosa Ponselle. He continued his education at the Philadelphia Academy of Vocal Arts where he studied with basso Nicola Moscona.